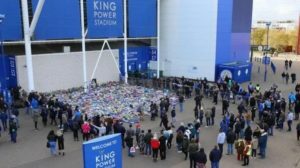 Many were greeted with the shocking news on Sunday evening that confirmed that Leicester FC club owner and chairman, Vichai Srivaddhanaprabha and 4 others were killed in a helicopter crash just outside the King power stadium on Saturday at 20:30 BST. The club owner had just finished watching his team play a 1-1 draw to West Ham and was on his way to the Airport from where he was to take a flight back to Thailand, his home country. Passers-by observed that the helicopter engine went off seconds before the helicopter plummeted to the South east area of the Stadium parking lot. Many have praised the veteran pilot on board, Eric Swaffer, for averting an even greater disaster by avoiding the fans and by standers around the area. 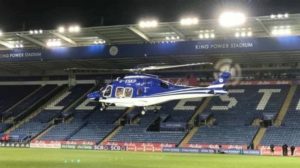 According to Goal.com, Leicestershire Police have released a statement, which read: “The five people were on board the helicopter when the incident happened”. 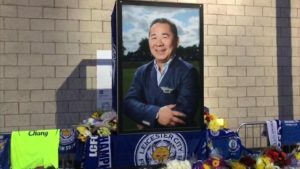 While formal identification has not yet taken place, they are believed to be Leicester City Football Club chairman Vichai Srivaddhanaprabha, two members of his staff, Nursara Suknamai and Kaveporn Punpare, pilot Eric Swaffer and passenger Izabela Roza Lechowicz. 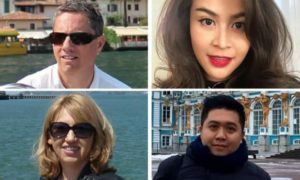 The other four people who were alleged to have been onboard the plane and died from the helicopter crash. Srivaddhanaprabha was married with four children. Leicester City’s vice-chairman, Aiyawatt Srivaddhanaprabha, who is Vichai’s son, was not present at the game. 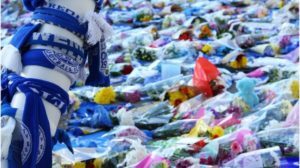 Football veterans and fans all over the world have sent in their condolences and Leicester’s EFL cup tie against Southampton on Tuesday has been postponed along with the development team’s Premier League International Cup against Feynoord. 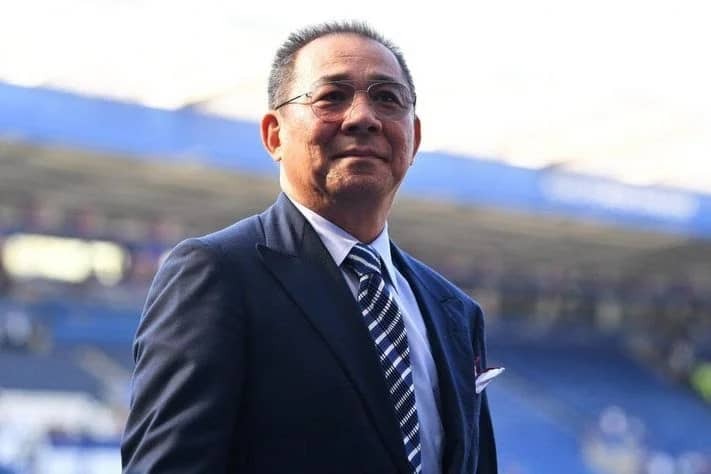 Club owner Vichai Srivaddhanaprabha, took the club from relative obscurity to EPL Champion status in the 2015/2016 season by bank rolling numerous investments in the English club. He was a devout Buddhist. They started the season as 5000-1 outsiders with the bookmarkers. He had Thai monks bless the pitch and give players amulets before their title success. All the players were gifted a BMW car worth £100,000 to celebrate their premier league victory. He was also the owner of King Power, the largest duty free retail store in Thailand which also happens to be the name of the club’s Stadium. His son, who is the vice-president of the club is rumored to be a suitable replacement. He will be fondly remembered by the fans as being a humble philanthropist, showed by his decision to subsidize travel costs of fans for away games.